Lucky is a digital scrapbook mini kit that focuses on how lucky we are in this world. Filled with beautiful colors, amazing patterns and versatile bits, this mini kit is perfect for capturing just about any moment. NOTE: This kit was previously released as part of a collaboration Make sure to check your files before purchasing. 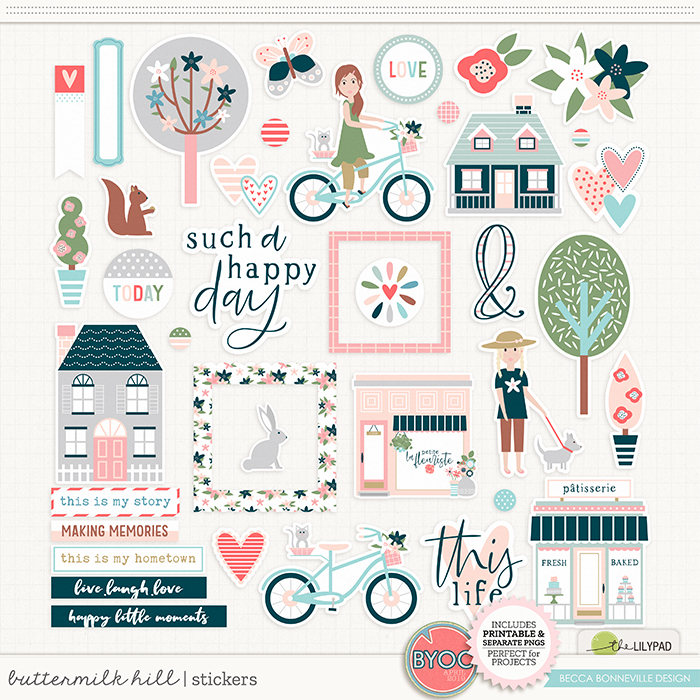 Love Letter Basics is a digital scrapbook element pack filled with beautiful colors, versatile elements and fun illustrations. The elements are perfect for just about any project with its versatile colors and patterns. 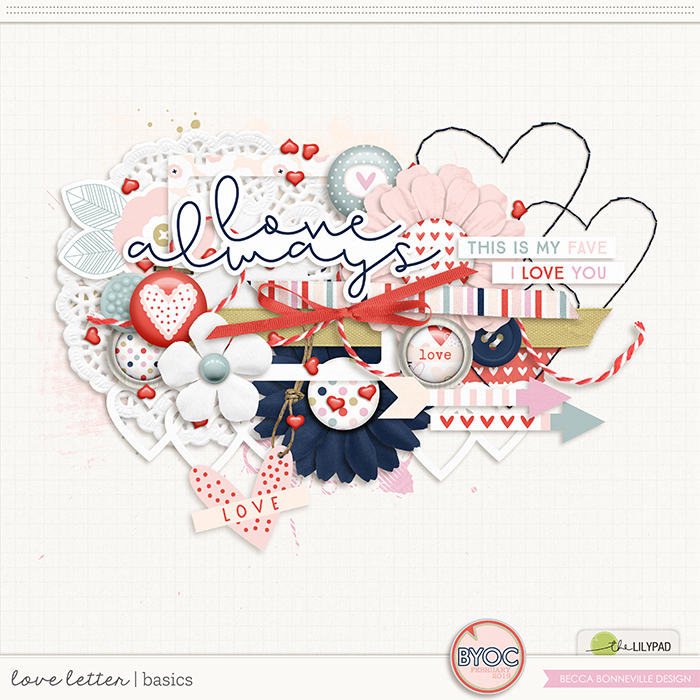 This basic element pack coordinates perfectly with the Love Letter collection and the February 2019 BYOC collection. 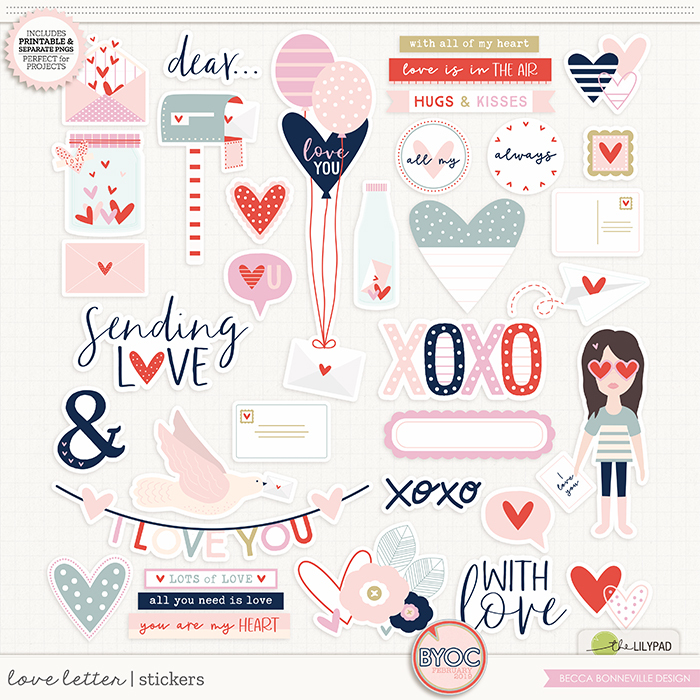 Love Letter Papers is a digital scrapbook paper pack filled with beautiful colors and fun illustrations. 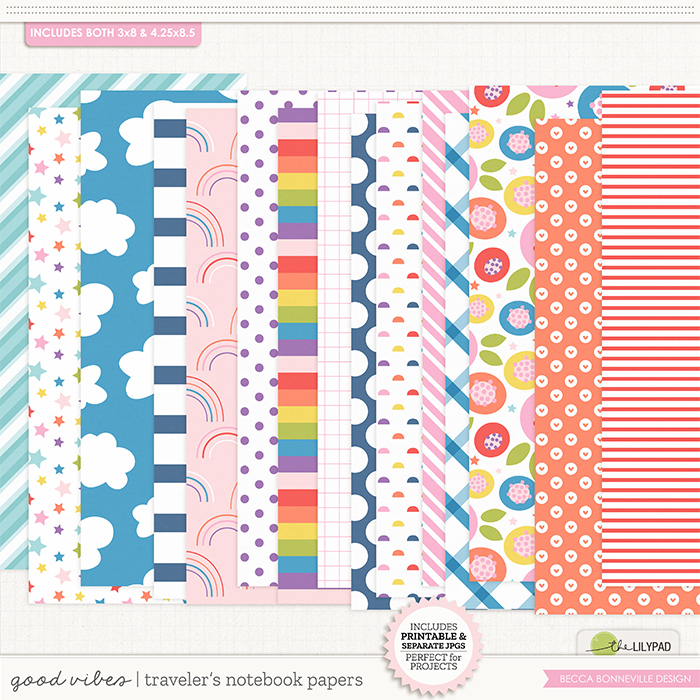 The papers are perfect for just about any project with its versatile colors and patterns. 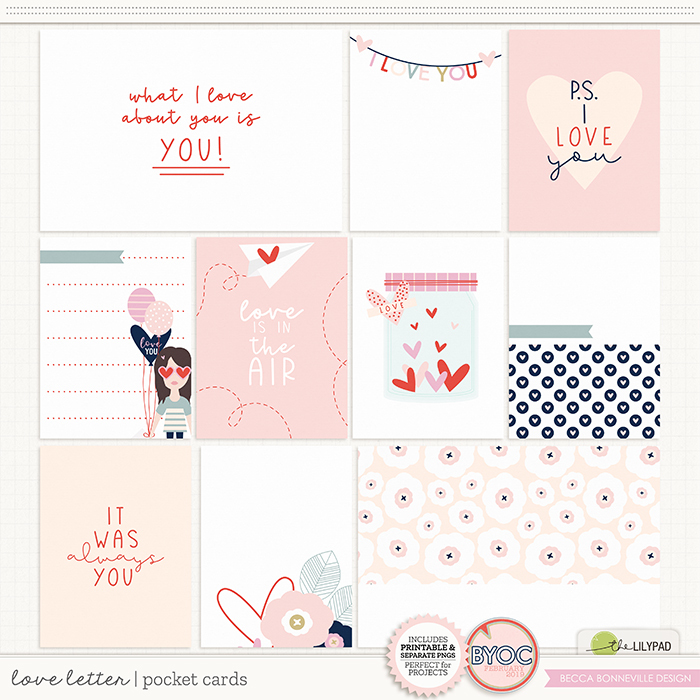 This paper pack coordinates perfectly with the Love Letter collection and the February 2019 BYOC collection. 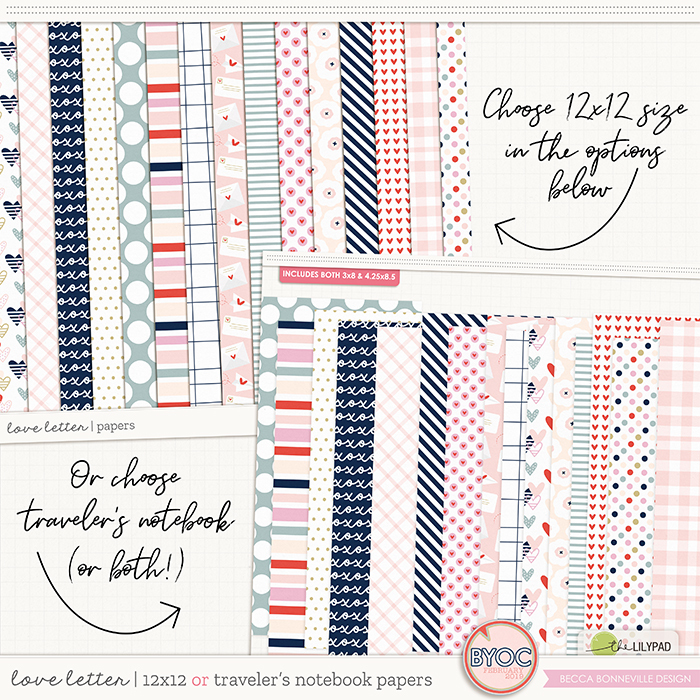 Use the dropdown below to select either the 12x12 papers or the Traveler's Notebook papers. 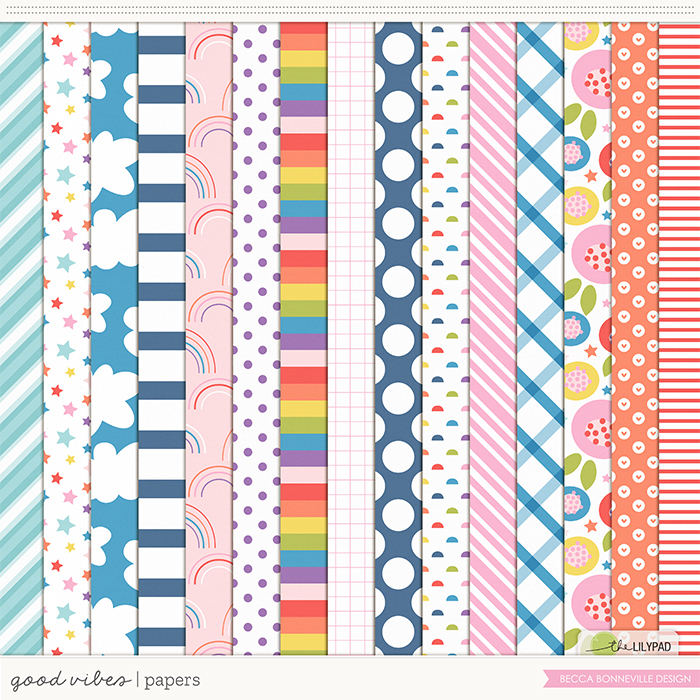 Good Vibes Bundle is a digital scrapbook bundle pack filled with fun rainbow colors and beautiful illustrations. 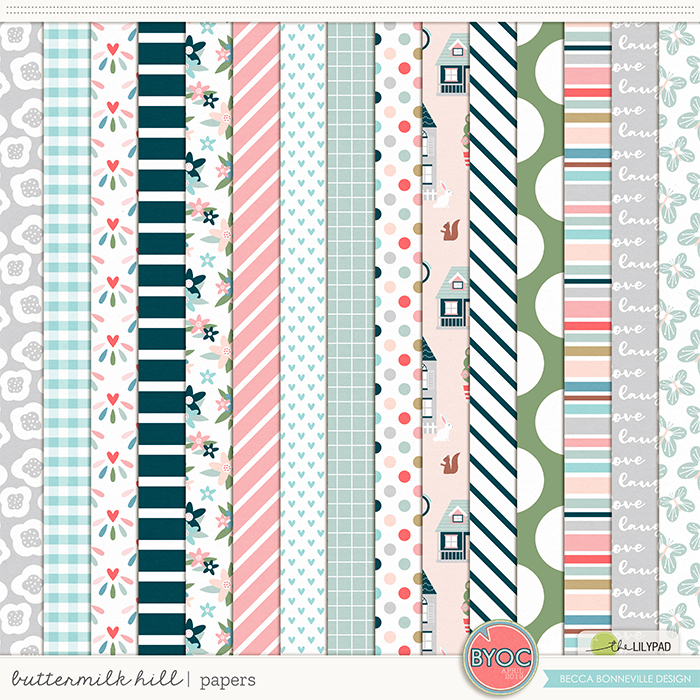 This bundle is perfect for digital and hybrid albums, pocket pages and more! 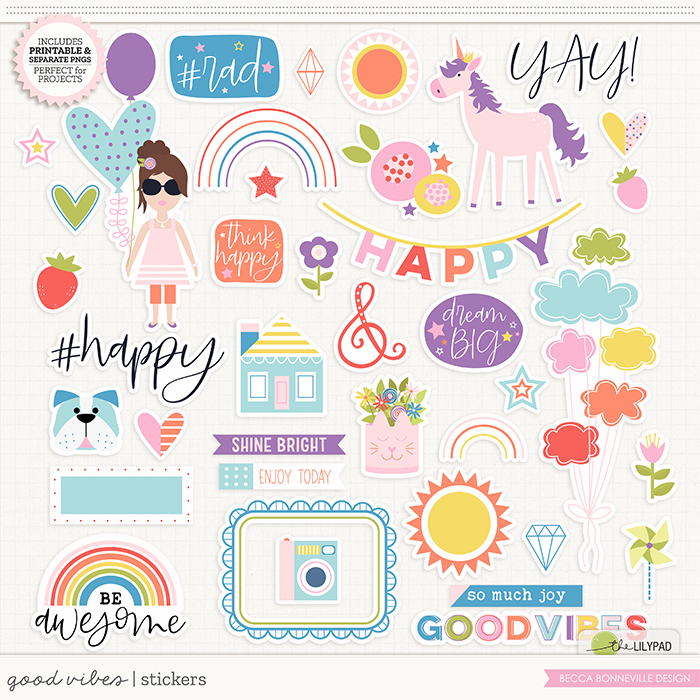 Good Vibes Stickers is a digital scrapbook card pack filled with fun rainbow colors and beautiful illustrations. The cards are perfect for digital and hybrid albums, pocket pages and more! 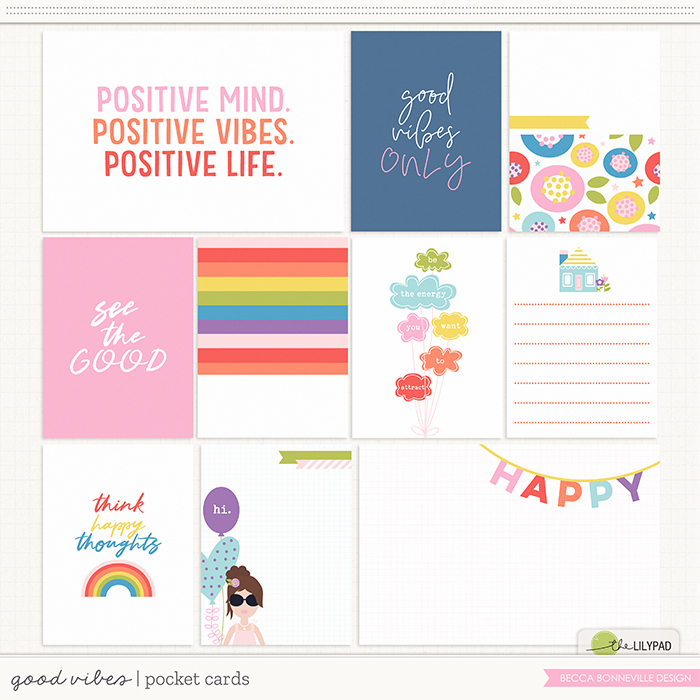 This card pack coordinates perfectly with the Good Vibes collection. 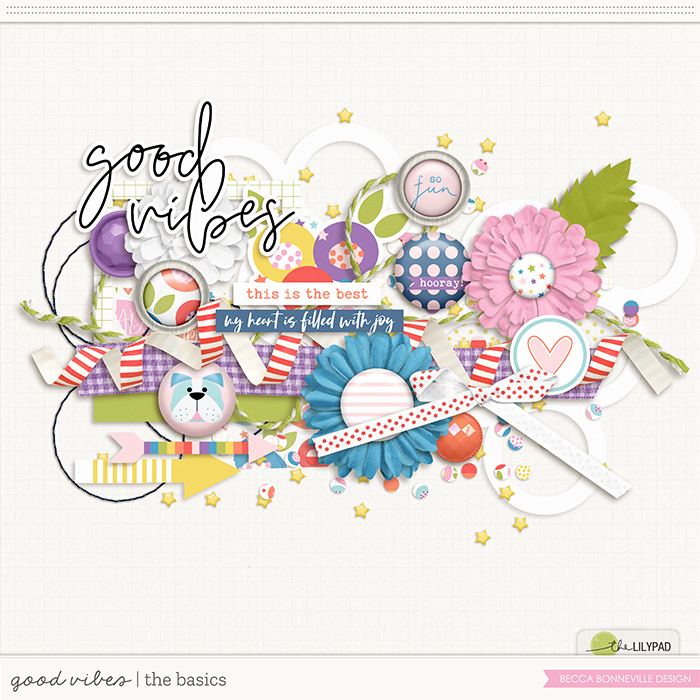 Good Vibes The Basics is a digital scrapbook element pack filled with fun rainbow colors and essential elements. This element pack coordinates perfectly with the Good Vibes collection.